Japanese Buddhism Communication Service | Omega Communications, Inc.
Omega Communications offers a unique service designed to help Japanese Buddhism communicate its message to the world. This is the Japanese Buddhism Communication Service (JABICS), conceived to meet the outreach needs of the Buddhist community in Japan. Inaugurated in 2005, JABICS helps prepare newsletters, leaflets, websites or books to spread information about Buddhist precepts, inform about regularly scheduled temple activities, attract interested individuals to temple meetings, or acquaint non-Japanese with the tenets of Japanese Buddhism. Through English-language communication, JABICS helps connect individuals, both in Japan and abroad, who would like to know more about Buddhism with relevant groups or organizations. This service thus plays an important role in disseminating information about Buddhism to the world at large. 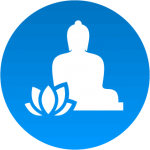 JABICS prides itself on communicating Buddhism clearly to laypeople who may not be especially familiar with it, to help fill the gaps between knowledge and understanding of Buddhism and establish firm connections between information senders and recipients. Services offered include event proposal and planning, production of communication media, planning and holding of special events, and other activities designed to connect the Buddhist world and lay society through communication.